The 10 Best Caterers in Arkansas! 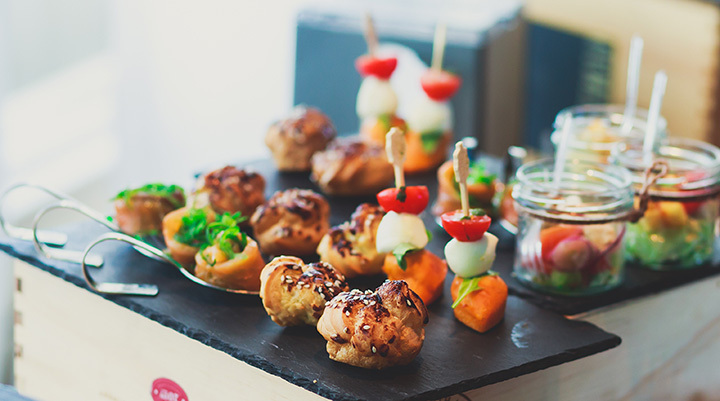 Hiring a caterer for your next social event will not only save you some time but it will also eliminate a lot of the stress involved with planning! Arkansas is full of many great caterers who are willing and able to meet all of your food and drink needs. Here are our picks for the 10 best in the Natural State! Rx Catering is “just what the doctor ordered!” With over 60 years of catering experience, this place obviously knows what it’s doing! What sets Rx Catering apart from the rest is its staff of former pharmaceutical representatives and executive chefs that know how to provide great food at affordable prices. Check out the fabulous breakfast, lunch, and party catering menus for your next event. Your wish is their gourmet catering command at this full-service catering company. From rehearsal dinners and wedding receptions to golf tournaments and corporate events, Catering Concepts has got you covered! Serving the Lowell community since 1999, Catering Concepts has been voted multiple times as the best of its kind in the Northwest Arkansas area. Let the Event Group create the perfect guest experience at your next corporate or social event. The Event Group specializes in social and corporate catering and has made a name for itself in the Northwest Arkansas area by providing the best food, staff, and planning possible. With special features like “Parties to Go” and a long list of services, the Event Group can handle everything from tailgating parties to the most elegant of weddings. Combining unparalled service and extraordinary food, this catering company is one of the best in Arkansas. With features like “Action Stations” and “Drop-Off” catering menus, Dinner’s Ready is able to meet the catering needs of almost any event and budget. Dinner’s Ready Catering Company has been serving the Central Arkansas area since 2002. This family-operated business has been serving the Harrison community for over ten years now and is one of the go-to caterers in the Ozarks. Chef Jamie adds a regional flair to his gourmet cuisine. From backyard barbeques to black tie affairs, Jamie’s Creative Catering can handle any event, large or small. The owners of this great catering venue both graduated from our beloved University of Arkansas in Fayetteville. Elite Catering keeps the vision and budget of each client in mind as they customize each menu. Catering menus include hors d’oeurves, breakfast, lunch and dinner, and desserts and drinks. The exclusive caterer for the Arkansas Arts Center, Simply the Best is a fully-licensed and insured off-premises catering company. Since 1987, Simply the Best has grown to become one of the premiere catering companies in the Little Rock area. Simply the Best Catering can be found at many amazing venues in the Central Arkansas area. If you want your guests to leave with a good impression then let Creative Kitchen in Fort Smith cater your next event! From helping clients recreate Pinterest ideas to the popular gluten-free menu, Creative Kitchen is the perfect catering choice in the River Valley area. Let the Green Herb become a part of your event memories! This great business provides quality and reliable catering services in the Hot Springs area and has gained a reputation for unbelievable presentations. Whether you’re hosting a corporate event or an elegant wedding, The Green Herb can meet all of your catering needs. For nearly 20 years now the owners of this business have been personally involved in each catering event, ensuring that their clients get exactly what they want. Named as one of the best caterers in the Central Arkansas area, Two Sisters has, for the most part, gained its great reputation by word-of-mouth from their more than satisfied clients.